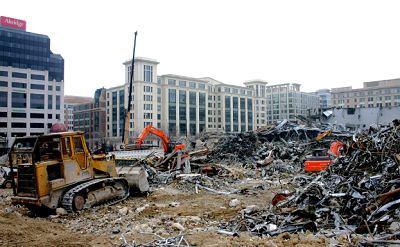 After an Atlanta demolition, all you have left is a mess. Debris all over the place, with brick and different material laying around as if war struck. Don't mess with this grueling process that really can be a pain in the tail. That is because we have the biggest bulldozers to take care of as much debris you can get for us. We are experts in offering a crystal clear property to you, after everything is said and done. I mean literally, after we complete our work, it is all going to look like an empty parking lot. ​If you are planning to start new construction, then it is extremely important to make sure all major and minor pieces of debris have been picked up or even dug out of the ground (in the case that they have been buried.) It's a lot like cleaning up a house. And we know precisely how to take everything away in those gigantic dumpsters, leaving you with the land. Trust us with your property and demolished building as we have offered the greatest service in the whole metropolitan of Atlanta. If you decide to work on the demolition phase through our company, you will obviously get a much better deal and we will make sure everything is so synchronized, so that you don't miss a single productive day. By the time we are done with the property, you will have something that is fresh, clean and in the greatest possible shape! We don't leave behind any of our junk or the building's remaining. Every single brick and piece of concrete will be removed from the property, assuring that you are able to build new construction with absolute safety, and no delays. 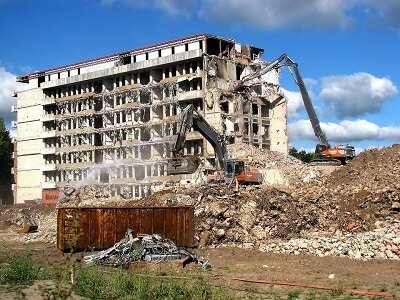 Give us a call today, to learn about your options in regards to demolition in Atlanta. Whether you want us to come tear the building down, or simply come along and cleanup the mess, rest assured that you will get a pretty darn good result at the end. You can't be in the demolition business for over twenty years like we have been, without being a company of great value and work ethics. The good thing about debris cleanup is that it really doesn't need to be a big deal with a great mess. I know the pictures look messy and the demolition sites look like they are out of control. We assure you however, that our bulldozers and trucks will get into your property and take away all the debris in a very smooth way, without causing any panic. We respect your private life and relationships you've developed with neighbors. So we will make sure we fly under the radar on the demolition site. There will not be a single tense situation with people complaining about all the work being done. As soon as we get our machinery out there, we will cleanup everything in a very short period of time. We don't like wasting time, so we will breakdown any larger pieces of concrete that may need further demolition work, before we load them up to our trucks and dumpsters. Also, you don't need to first demolish a building in order for us to come in and cleanup the mess. 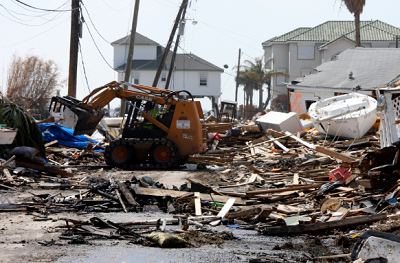 If for some reason, due to harsh weather you get debris laying around, just call us. 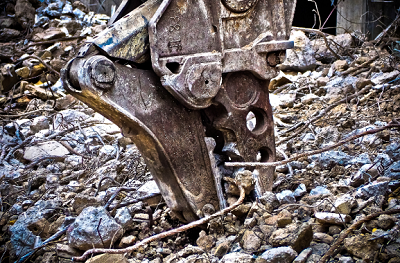 We have machinery to fit any property size and make sure a tidy job is completed. Anything you need in regards to picking up debris and useless materials, just contact us and we will come out to your property to offer a free estimate. During that consultation, you will also get suggestions on how to better tackle the project. For instance there may be a need for some extra service before the cleanup (like partial demolition.) All of this information is going to be given to you, so that you have a clear and full picture regarding the tasks at hand. This will avoid going passed over certain steps and worrying about incomplete jobs later on. Everything will be done in a methodical manner, without needing to go back and forth in the progress of the demolition and cleanup project. Get you free quote today!